This is an opportunity for Shalom's many benefactors and supporters to meet for prayer, inspirational preaching, and fellowship. 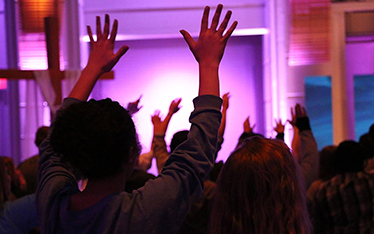 The gathering is a great source of motivation to those who understand the needs of the present generation and are ready to fight for the Lord. Rev. Dr. Roy Palatty, CMI Reverend Palatty was born in India and is a priest of the Congregation of Carmelites of Mary Immaculate. 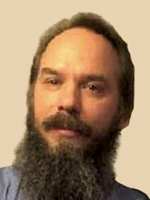 He earned his PhD in Philosophy from the Catholic University of Leuven in Belgium and is a published author of books and articles. Since 2014, he has been serving as Spiritual Director of Shalom Medias. 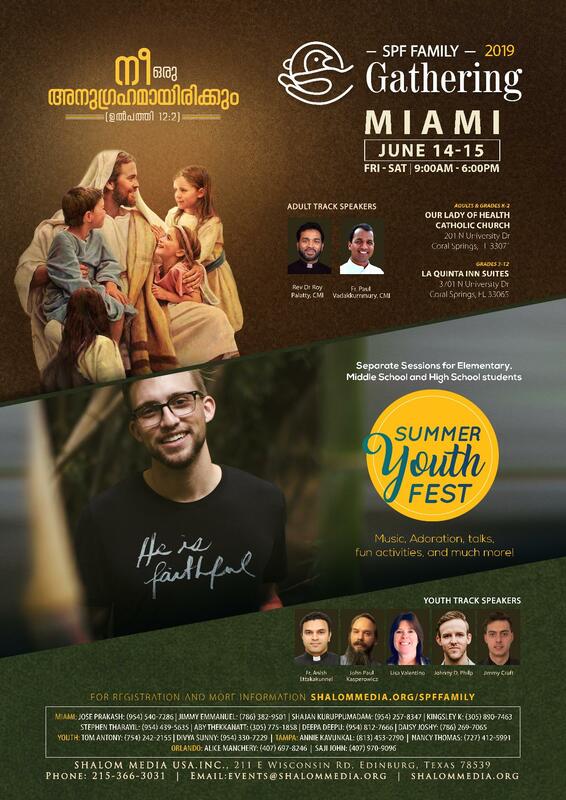 Father Roy is a gifted speaker and has been an in-demand preacher around the world, leading numerous retreats for priests, religious, and lay people. Rev. Fr. Paul Vadakkummury, CMI Father Vadakkummury was born in Kerala, India, and is a priest of the Congregation of Carmelites of Mary Immaculate. He holds a licentiate in theology from Paurastya Vidyapitham in Vadavaathoor, Kottayam, India. He is the founding director of Marian Vachanatheeram Retreat Center in Kumarakom, India, and has been continuing the ministry since 2012. Father Vadakkummury is a gifted speaker and has been an in-demand preacher around the world, leading numerous retreats for priests, religious and lay people. Rev. Fr. 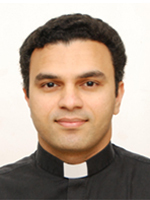 Anish Ettakakunnell Father Ettakakunnel was born in India and is a priest of the Archdiocese of Changanacherry, India. He was ordained a priest on December 29, 2009. He served the Church in various capacities as the assistant pastor of Lourdes Forane Church, Trivandrum, India, Personal Secretary to the Curia Bishop of the Syro-Malabar Church, the animator of minor seminarians, the pastor of Saint Alphonsa Church, Mavelikara, India. He earned a Master’s degree in Psychology from Pontifical Gregorian University, Rome, Italy. At present, Father Ettakakunnel is pursuing his doctoral studies in Counseling at Saint Mary’s University in San Antonio, Texas. John Paul Kasperowicz John Paul Kasperowicz is the founder of “The Ministry of the Single-Hearted” music and teaching ministry. Since 1998, John Paul has been the retreat master, speaker, coordinator, and music minister, for thousands of retreats for both Youth and Adults, Men and Women, Catholics and Non-Catholics. He is married to his best friend of twenty-seven years, Kathrn, and is the father of two teenage children. Jimmy Craft Jimmy Craft is a musician from Douglassville, Pennsylvania. Lisa Valentino Lisa Valentino is a dedicated and passionate Youth Minister, Catholic Speaker and Retreat Director from Andover NJ. Her day to day life is spent working with the teens of Immaculate Heart of Mary in Wayne and St. Joseph’s in East Rutherford NJ. Lisa has been blessed to be in full time ministry for the past 15 years where each and everyday she strives to bring Jesus into the hearts and lives of others; her goal being for all that she speaks to and those she works with to “know” Jesus, not just “know about” Him. When not at her home parishes she has been blessed to lead retreats and speaking events at other parishes in multiple dioceses. Johnny D. Philp Johnny Philp is a Catholic speaker and musician based out of Fort Worth, Texas. 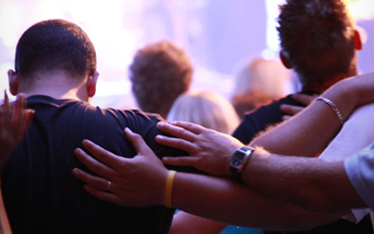 Johnny fell in love with the Church at a young age when both his parents worked for their parish. 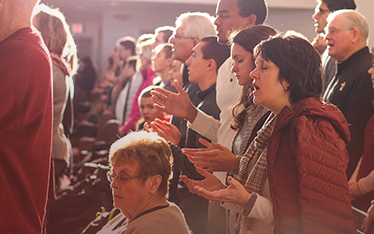 His devotion to the Catholic faith has allowed him to expand from his local parish and travel all over the country playing and speaking for the Church. 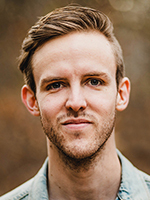 Johnny intertwines humor, passion, and theological truth in his talks with the common goal of empowering the young Church of daily conversion and relationship with Jesus Christ. He is the Coordinator of High School Student Ministry at Good Shepherd Catholic Community in Colleyville, Texas. Rev. Fr. 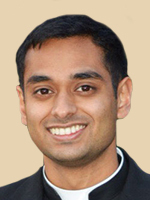 Kevin Mundackal Born and raised in Thornwood, New York, Father Mundackal entered the seminary in 2010, the year he graduated from Westlake High School in Thornwood. 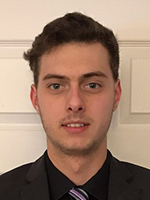 He was an altar server and one of the high school leaders of his parish youth group and was active in a lay ecclesial movement called Jesus Youth. He earned bachelor’s degrees in philosophy from Loyola University Chicago and theology from Ateneo Pontificio Regina Apostolorum in Rome. He also attended Fordham University and St. Joseph Pontifical Seminary in Kerala, India. 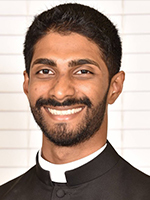 Ordained for the St. Thomas Syro-Malabar Catholic Diocese of Chicago on May 5, 2018, Father Mundackal became the first American-born Syro-Malabar priest ordained in the United States. He serves as associate vicar at St. Thomas Syro Malabar Cathedral in Bellwood, Illinois. Sr. Grace Kochuparambil SIC Sister Grace Kochuparambil belongs to the Congregation of the Sisters of the Imitation of Christ (Bethany Sisters) in the Syro Malankara Catholic Church. 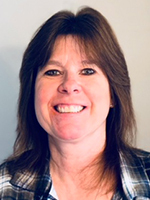 She has a Master’s Degree in Counseling from Duquesne University in Pittsburgh, Pennsylvania, and is currently a doctoral candidate in Marriage and Family Therapy at St. Mary’s University in San Antonio, Texas. 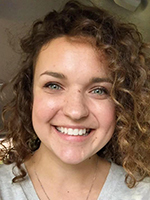 She has completed counseling internships in Auberle, Pittsburgh, and at The Alexander House in San Antonio working with adolescents, couples, and families. 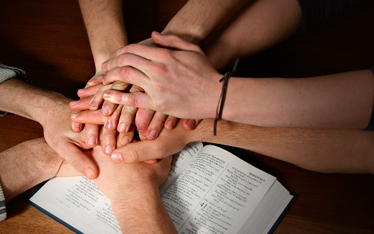 Sister Grace now provides in-person and online therapy for couples, families, and teens for various issues. 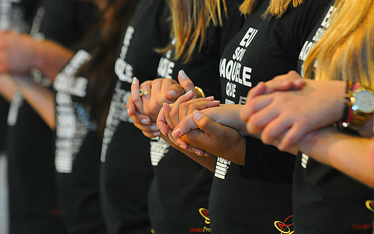 She is committed to the integration of Catholic spirituality with evidence-based mental health interventions. 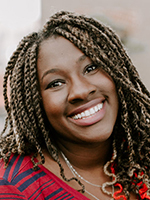 Chika Anyanwu Chika Anyanwu is a Catholic speaker from Ontario, California who loves sharing the Gospel through her life. She is a two-time alumna of the National Evangelization Teams Ministries (NET Ministries) and is an area contact for Life Teen in the Diocese of San Bernardino, CA. She has aligned her dream with the Lord’s commission to make disciples of all the nations and is actively pursuing the same by delivering talks on how to live a Catholic life in today’s secular world. Chika is part of a big Nigerian family, loves praying the Rosary, enjoys the Turkish coffee, and striking out at the batting cages. Chika's journey to Christ is featured on Shalom World TV's "U-TURN". Ashley Lange Ashley grew up in south Texas, and is the oldest of 8 children. She earned a degree in civil engineering at Texas A&M University, moved to Dallas Texas for a career with a private engineering firm, and then one year shy of applying for her professional engineering license she ‘dropped her nets’ to become a missionary and was sent up to Wisconsin. Upon completion of her missionary term, she returned to Texas and began working at Mary Immaculate as the Director of Ministerial Operations. Rev. Fr. 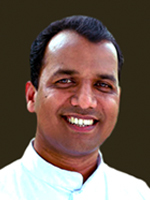 Rajeev Valiyaveettil Philip Born into a pious family, Father Philip was Interested in the priesthood since his teen years. He was educated in Roman Catholic schools in the Tampa area in the Diocese of St Petersburg. Father Philip completed his undergraduate seminary studies in Chicago. He later studied in Rome for three years in the seminary at the Pontifical International College Maria Mater Ecclesiae. 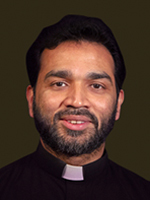 Father Philip is one among the first priests to be ordained for the Syro Malabar Catholic Diocese in the United States. He serves as associate vicar at St Joseph Syro Malabar Catholic Forane Church in Houston. 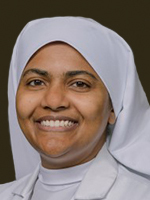 Sr. Jocelyn Edathil SIC, MD, PHD Sister Jocelyn Edathil SIC was born and raised in Philadelphia and reared in the Eastern Catholic tradition, namely the Syro Malankara Catholic Church. She went to Villanova University where she graduated with a degree in Chemistry. She then went on to complete the MD/PhD dual degree program at Penn State, subsequently attending Temple University for Internal Medicine residency. 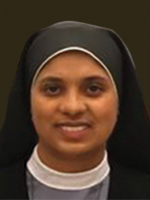 Afterward she began formation with the Sisters of the Imitation of Christ (also known as the Bethany Sisters in India) and made her first profession of vows in August 6, 2016 in Elmont, New York. Currently she works at Temple University Hospital as Assistant Professor of Clinical Medicine where she teaches medical students and residents. She is heavily involved in Ethics, Diversity, and Humanism in Medicine. She speaks on a variety of topics including vocational discernment and intercultural communication as well as current trends in social media. 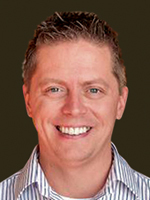 Nic Davidson Nic Davidson is an energetic and funny speaker who is on fire for his faith. A convert from Assemblies of God, Nic brings delightful humor coupled with his deep knowledge of the Faith to all of his speaking engagements. 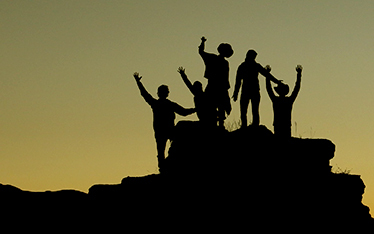 Having personally had his life and marriage transformed by the Theology of the Body, he spends his days trying to offer the same transformation to those around him. Lisa Valentino Lisa Valentino is a dedicated and passionate Youth Minister, Catholic Speaker and Retreat Director from Andover NJ. Her day to day life is spent working with the teens of Immaculate Heart of Mary in Wayne and St. Joseph’s in East Rutherford NJ. Lisa has been blessed to be in full-time ministry for the past 15 years where each and every day she strives to bring Jesus into the hearts and lives of others; her goal being for all that she speaks to and those she works with to “know” Jesus, not just “know about” Him. When not at her home parishes she has been blessed to lead retreats and speaking events at other parishes in multiple dioceses. Ashley Lange Ashley grew up in south Texas and is the oldest of 8 children. She earned a degree in civil engineering at Texas A&M University, moved to Dallas Texas for a career with a private engineering firm, and then one year shy of applying for her professional engineering license she ‘dropped her nets’ to become a missionary and was sent up to Wisconsin. Upon completion of her missionary term, she returned to Texas and began working at Mary Immaculate as the Director of Ministerial Operations. Ali Hoffman Ali Hoffman has a passion for Jesus, the Catholic Church, her family, doughnuts, and Chipotle, in that order. 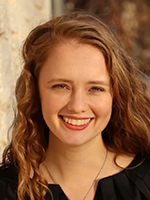 She served with NET Ministries (www.netusa.org) and upon graduating from the University of St. Thomas in St. Paul, Minnesota with a degree in Catholic Studies and Family Studies, she moved back home to the GREAT state of Texas and is now a co-youth director at St. Catherine of Siena Catholic Church in Carrollton, Texas. She also does modern calligraphy and digital design.